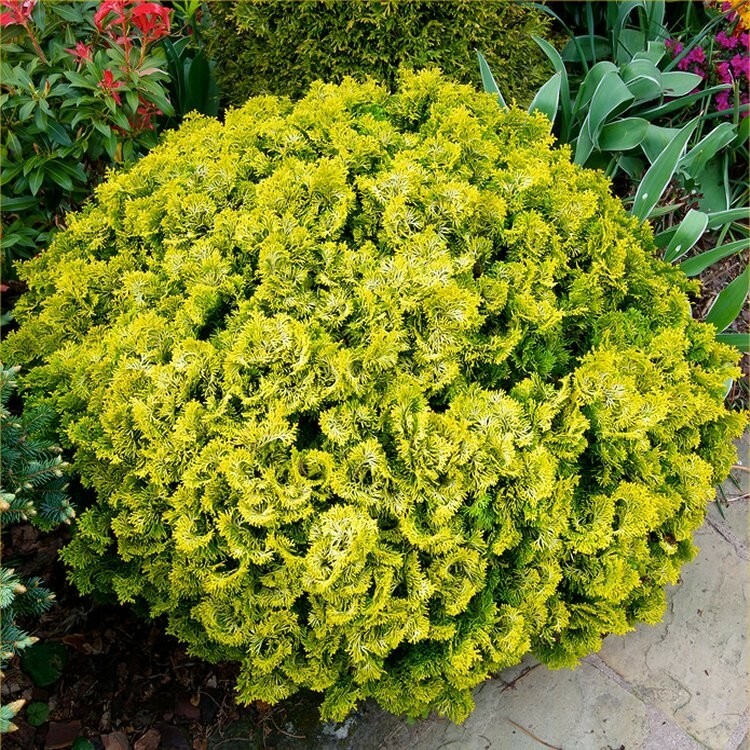 Chamaecyparis obtusa nana gracilis Aurea is a very slow growing dwarf conifer with twisted sprays of golden-yellow foliage. 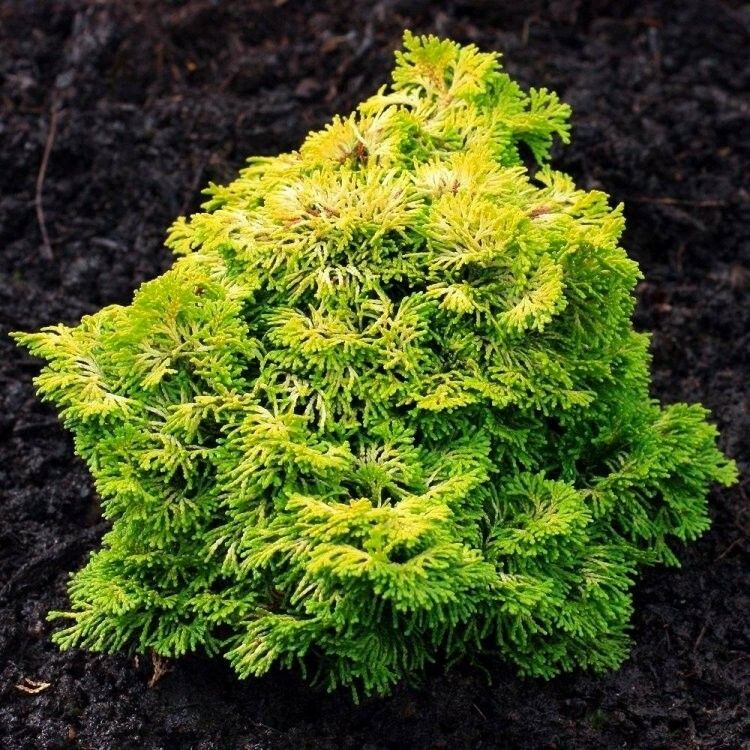 'Nana Aurea' meaning dwarf and golden, is a slow-growing conifer with distinctive tiny fans of golden foliage on a somewhat irregular-shaped bush. This is an ideal plant for a small garden and can be grown in pots or tubs for a number of years before eventually planting out in to beds or borders. It's an attractive and hardy specimen plant for a sunny or partly shady shrub border, coping well with dry, chalky and sandy soils. 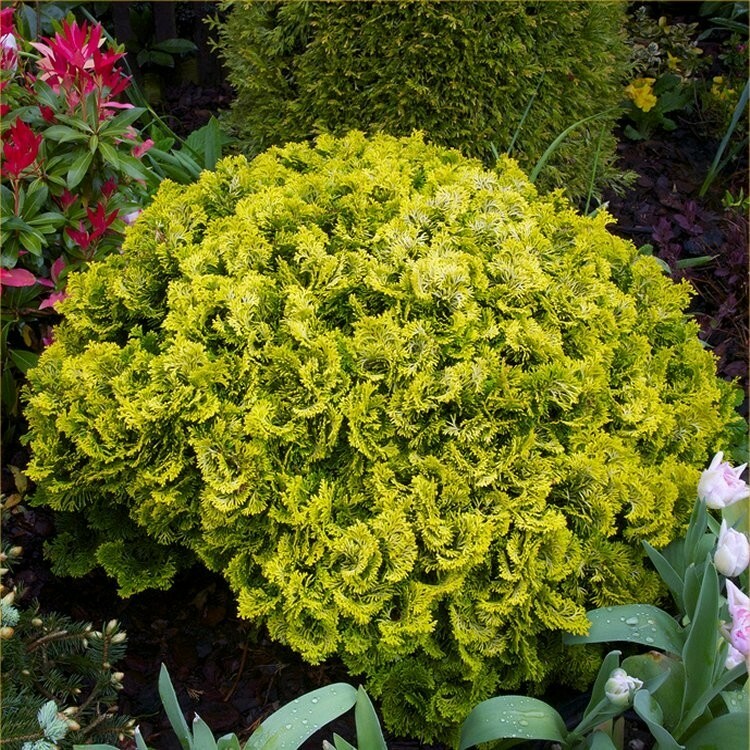 An excellent evergreen plant with rich golden green foliage which deepens in colour in winter. This is an ideal plant for a rockery, small border or tub. Supplied in approx 1.5 litre containers.